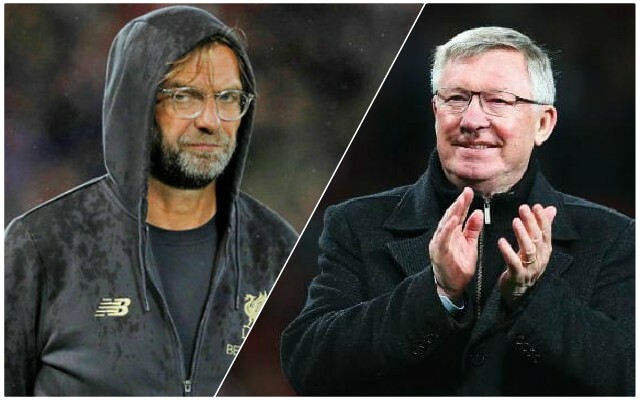 Rio Ferdinand says Liverpool boss Jurgen Klopp must replicate what Sir Alex Ferguson used to do if the Reds are to win the Premier League this season. Klopp has guided the team to top spot – seven clear of Manchester City before Pep Guardiola’s side host Wolves on Monday night – so clearly has some idea of what he’s doing, but the biggest mental tests are arguably to come, with the run-in a highly pressurised scenario. Ferdinand, though, had some advice on how to get through that period. In 2013/14, the burden of history did perhaps influence the title race, and that cannot be allowed to happen again – although it is worth saying this squad is much more rounded and experienced. Klopp is also much more experienced than Brendan Rodgers. Ferdinand added: “When I was fortunate enough to be in a changing room with Sir Alex Ferguson, in times of need when the pressure is on, he would find something we could hook into. “It wouldn’t be obvious but it would be something about us a lot of the time – what we were good at, why we’re here. Time will tell whether Klopp heeds that advice (as if he doesn’t already know it) but the Reds are in a brilliant position regardless. It’s a hugely exciting time to be around the club and we’re more than happy for Klopp to continue doing exactly what he has been doing over the last few months – it seems to be working!